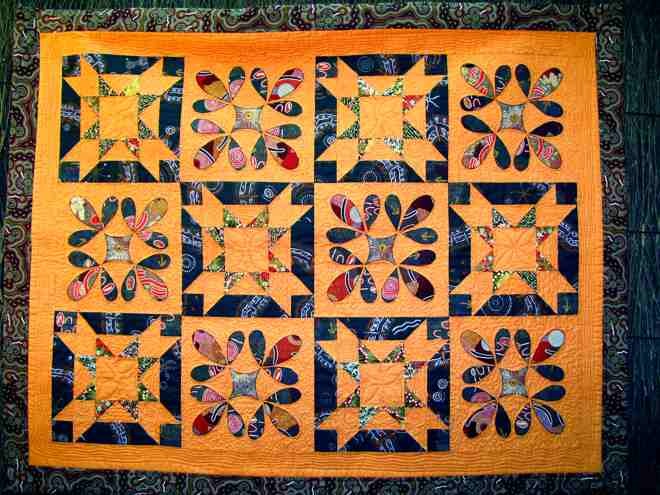 This HAWAIIAN STYLE QUILT was made as result of attending a 2-day workshop by Donna Ward from New Zealand. This SAMPLER QUILT my very first and brave project, initially undertaken at a workshop but completed with only the guidance of patterns. 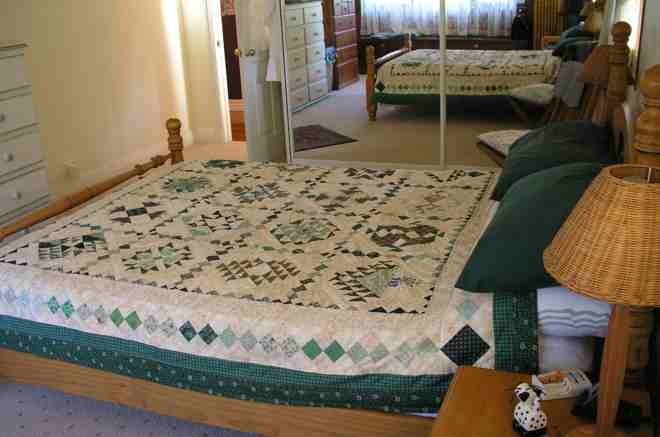 It was quilted on a domestic machine. 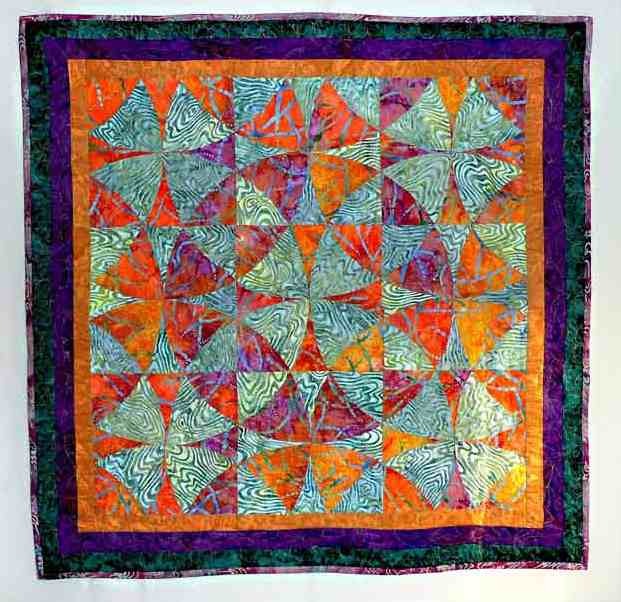 A MYSTERY QUILT workshop by Lessa Siegle and Deb Nichol at Hawkesbury Quilt Camp in 2008 revealed itself to be this applique and pieced quilt. Aboriginal fabrics were used. 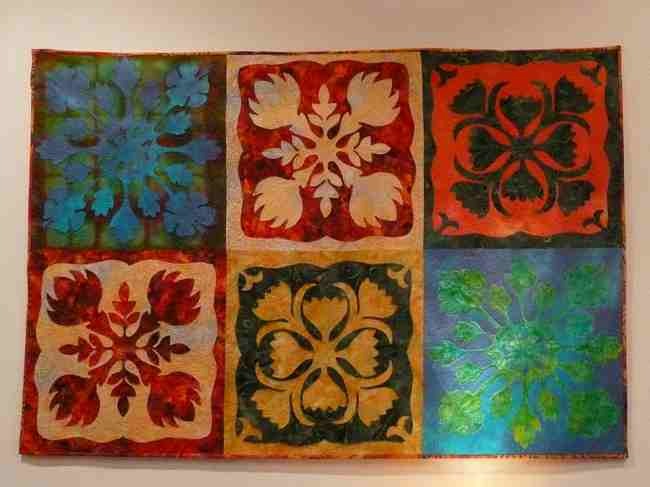 This quilt was machined quilted on domestic machine.